Mechanical Landscapes is an unsophisticated fusion of my interests in black and white photography urbex, mechanical engineering and the industrial landscape. 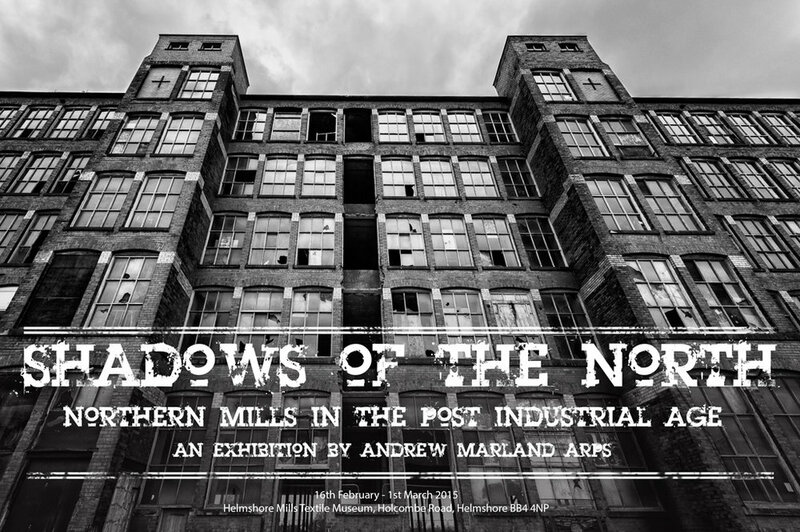 My other website theviewfromthenorth.org has been online since 2007, and out of that large body of work has emerged several themes. The logical consequence of all that is this website, which I like to think of as a portfolio of my better work and a showcase for my newer work. I don't have much in the way of formal artistic training (which probably shows through in my photographs) as I'm an engineer by education and profession (which probably shows through in my photographs). My life has been spent living and working in the industrial landscape of Lancashire, forever staying, as David Plowden would say "one step ahead of the wrecking ball", both as a photographer and in my engineering career. My photography is a reflection of this - I'm both an insider looking out, and an outsider looking in. 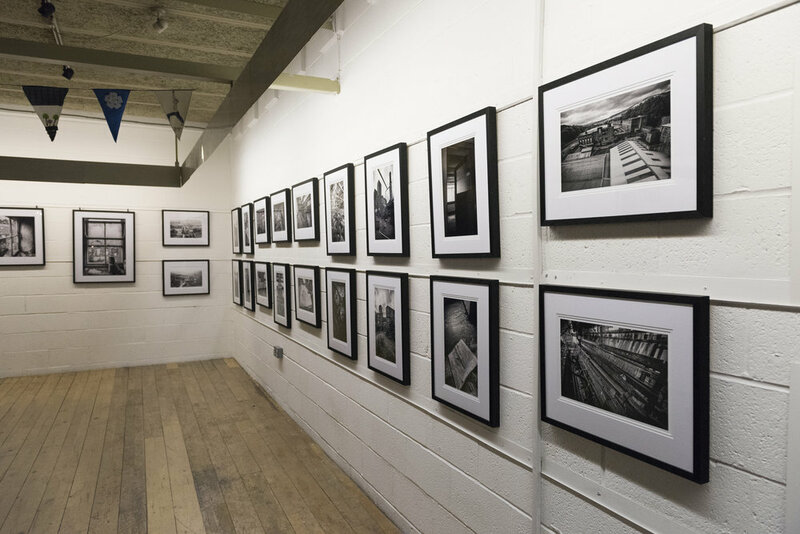 I've spent my life naively figuring out ways round my own perceived limitations (usually doing things the hard way) and I've spent the past few years experimenting my way through four solo exhibitions, twenty five (and counting) 90 minute talks on my photography at camera clubs across the north of England and am on the second edition of my self published book 'Shadows of the North'. I've also had the privilege of being commissioned to photograph London Road Fire Station using the Samsung Galaxy S7 as part of the launch for O2 in the UK. 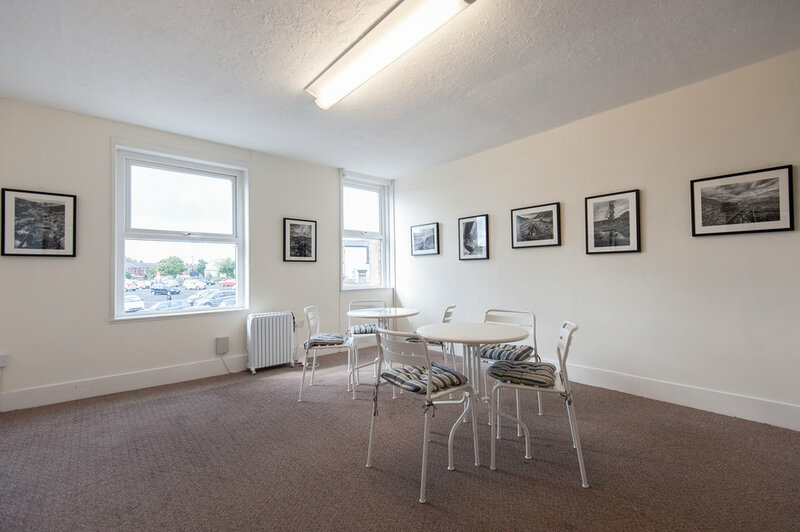 My aim is not just to present a record of the places I visit, but to present a 'creative treatment of actuality', a term coined by the Scottish filmmaker John Grierson. Black and white photography is a medium which allows me more leeway to express something beyond just "I was here, this is what I saw". I also do a bit of writing, something else I've a lifelong love of but precious little talent for. But I persist - my main blog is at blog.mechanicallandscapes.com and there's also a few more in-depth articles on this area of my website - www.mechanicallandscapes.com/writing/. I hope you enjoy the photographs on Mechanical Landscapes, please leave me any feedback (good or bad) via my contact page. O2 - Samsung Galaxy S7 launch <- link to press release. Please contact me via the contact form at the bottom of this section or through the contact page (link in the banner at the top of the page). 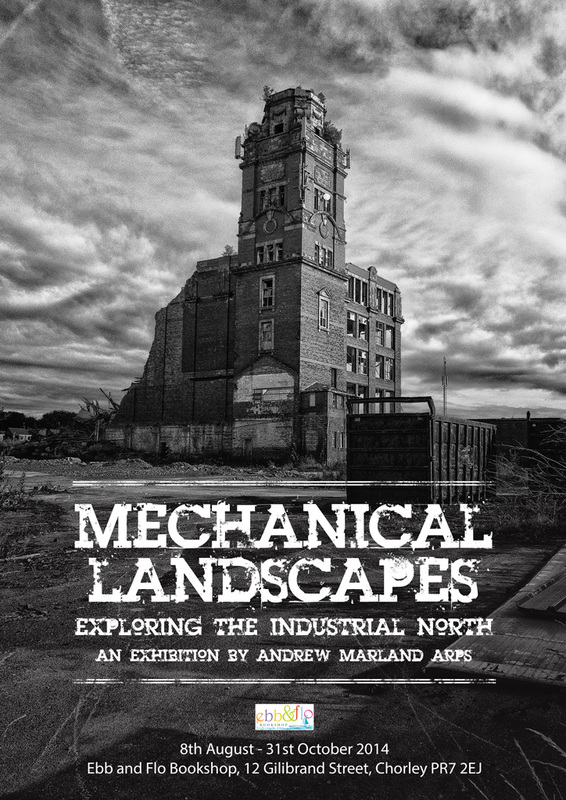 This thought-provoking talk (previously titled 'Mechanical Landscapes') is approximately 90 minutes and is a wander through the remnants of the northern industrial landscape. Covering a diverse selection of sites such as the enormous slate quarries of Snowdonia, abandoned textile mills in Lancashire and Yorkshire, a disused underground coal mine, the bizarre landscapes of active steelworks, a beached passenger ship, as well as unique views of the inside of derelict cooling towers, this talk is somewhat different to the majority of camera club talks. The images are predominantly black and white, with splashes of colour. This talk has now been presented to over 25 camera clubs in Lancashire, Cheshire, Yorkshire, Cumbria, Merseyside and Lincolnshire and is constantly evolving! Weekday evening talks - Lancashire, Greater Manchester, Merseyside and possibly North Cheshire - I am in full time employment so unfortunately I am not in a position to travel long distances during the week. Weekend talks - I am happy to consider talks at weekends further afield, please contact me to discuss. Weekday evening talks - flat fee of £50 (includes whatever mileage I incur). Weekend talks - minimum of £75, dependent on distance, etc. 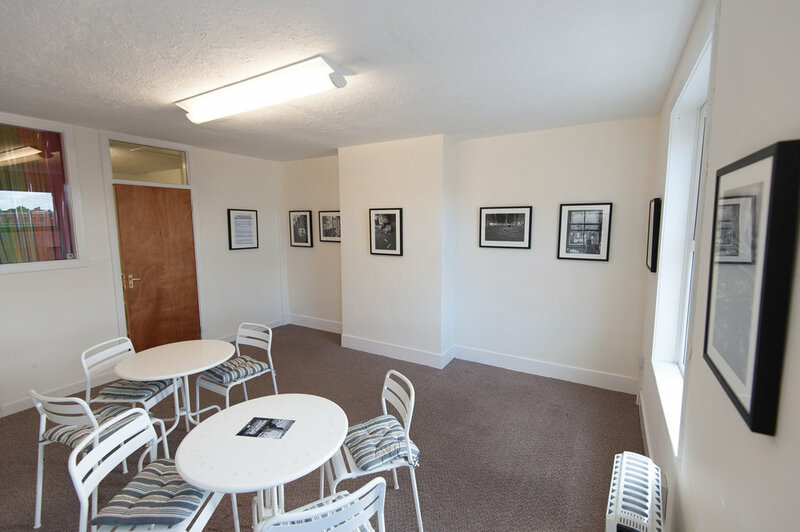 I have successfully held four solo exhibitions at a number of venue across Lancashire. 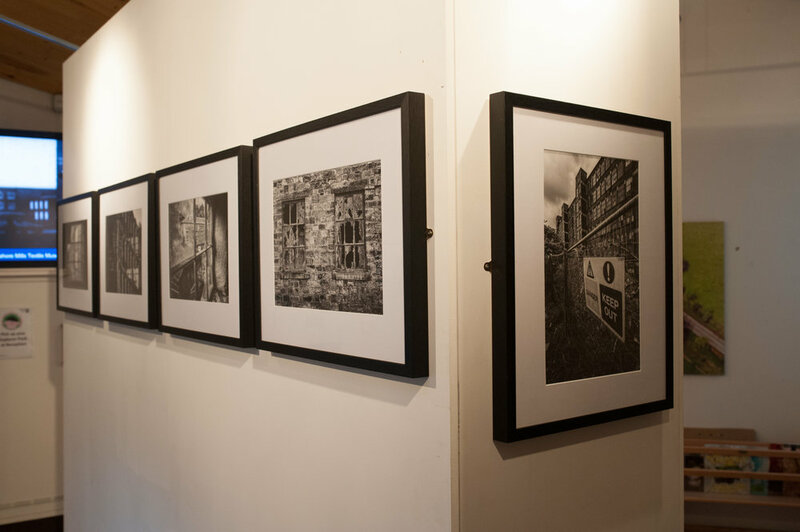 Please contact me if you are interested in hosting an exhibition, using some of my work, or would like to hold a joint exhibition - I have access to a large number of frames. 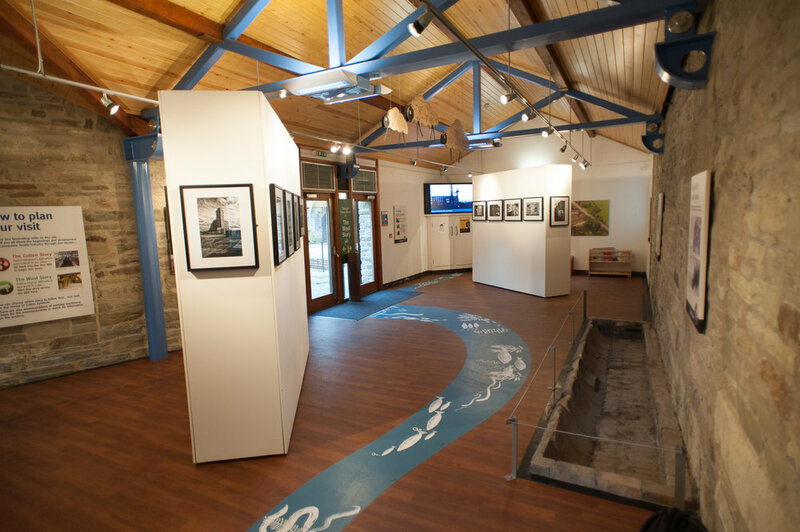 I'm also happy to pass on some of my hard earned experiences if you are holding your own exhibition!